As an empathetic and compassionate attorney, I, Ululani "Lani" Akiona, started my law firm as a way to help individuals and their families with their tough and sensitive family law issues. Understanding the emotional aspects involved with such cases, I promise to provide personalized, supportive attention on which you can rely. When possible, I encourage my clients to work together with the other party to resolve any contentious matters outside of court. However, I also realize that is not always possible, and I will fight hard on your behalf in the courtroom to achieve your desired results. In all cases, especially when children are involved, I will maintain a focus on your best interests as well as the best interests of your family. 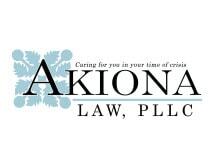 No matter the legal matter you have related to one of my firm's practice areas, Akiona Law, PLLC, is here to help.